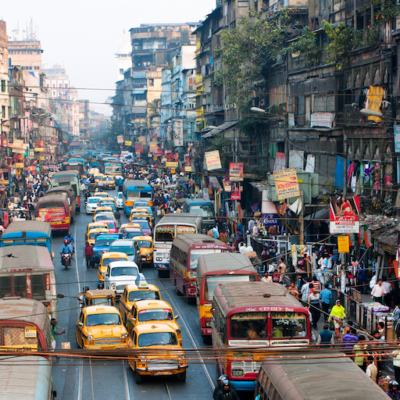 Major moves in energy efficiency are occurring in India. We’re pleased to announce that the “India Cooling Action Plan” was released; microwaves are included for the first time in the Bureau of Energy Efficiency’s Star Rating program while washing machines received revised Star Rating qualifications to include both water efficiency and energy performance; a 12-month bulk procurement program for ACs is launching in South and West Delhi; and finally, a new CEEW report, “Incentives and Regulations to Phase-down HFCs in India.” Continue reading to learn more. Recognition of “cooling and related areas” as a thrust area of research under the national science and technology program to support the development of technological solutions and encourage innovation challenges. Reduction of cooling demand across sectors by 20% to 25% by the year 2037-38. Training and certification of 100,000 servicing sector technicians by the year 2022-23, synergizing with Skill India Mission. On March 8, 2019, the Government of India’s Ministry of Power expanded its Appliances’ Standards & Labeling (Star Rating) program to include microwave ovens, while revising and updating the Star Rating qualifications for washing machines to include both water consumption and energy performance. These additions are estimated to save over 3 Billion Units of electricity, equivalent to the reduction of 2.4 Million tons of CO2, by the year 2030. In the fiscal year 2017-2018, the Indian microwave oven market sold 1.21 million units (2% CAGR), while the washing machine market sold 6.1 million units (8% CAGR). Both appliances are fueled by rapid urbanization growth and rising incomes. The program for these two appliances is voluntary and will be valid through December 31, 2020. Read the press release. Energy Efficiency Services Ltd. (EESL) and private distribution company BSES Rajdhani (BRPL), who serves residential and institutional consumers in Delhi, are partnering on a 12-month pilot for Super-Efficient Air Conditioning. This program will distribute air conditioners that are 40 percent more efficient, but priced comparably with the 3-Star Rated ACs (ISEER 3.8) currently available on the market. Bulk procurement, with consumers paying upfront, is expected to save end-users 20%-30% off the retail costs of similar technologies. The pilot will target 2,500,00 consumers in South and West Delhi while expecting to reduce peak power demand by 22 MW. Read more. Under the Kigali Amendment to the Montreal Protocol, India committed to lower consumption and production of Hydrofluorocarbons (HFC), with high global warming potential (GWP), by 85 percent before 2047. The sectors most impacted by this transition are residential air conditioning, mobile air conditioning, commercial air conditioning, and commercial refrigeration. A recent report by CEEW, the “Incentives and Regulations to Phase-down HFCs in India,” in collaboration with the Norwegian Environment Agency, maps out regulatory options that came about through in-depth interviews with more than 60 industry stakeholders including refrigerant consumers, manufacturers, suppliers, component manufacturers and suppliers, industry association representatives, and commercial users of products. This report outlines and recommends five methods to successfully transitioning away from HFCs: 1) focusing on policy certainty, 2) imposing a medium-term upper limit on GWPs, 3) meticulous checks at each level of transition, 4) fostering awareness about the refrigerant transition, and 5) formulating policies supporting HFC phase-down. Read the report.